Wow! 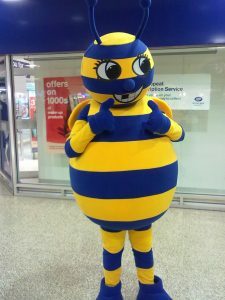 The Great British Bee Count has caused a right old buzz. Thousands of people have already spotted over 300,000 bees, from the common carder bee to hairy-footed flower bee. There’s still time to join the Great British Bee Count. Download the free app today. So many people are bee-spotting this year that we’ve almost lost count. After Michaela Strachan showed the app on BBC2’s Springwatch, it was being downloaded every half a second. Everyone’s been really enthusiastic about Britain’s biggest bee survey and people sharing their bee sightings on social media with the #greatbritishbeecount hashtag. There’s still time to join in – get our free app today. The Great British Bee Count continues until 30 June, so you’ve still got time to download the app and start bee spotting. These delightful creatures are vital to our way of life and every one of your sightings helps experts learn more about them. 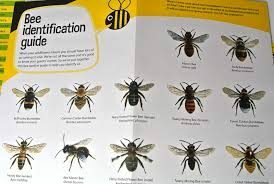 Remember, even if you spot just a couple of bees on one sunny day in the garden, you can still take part. Bee-cause every bee counts.